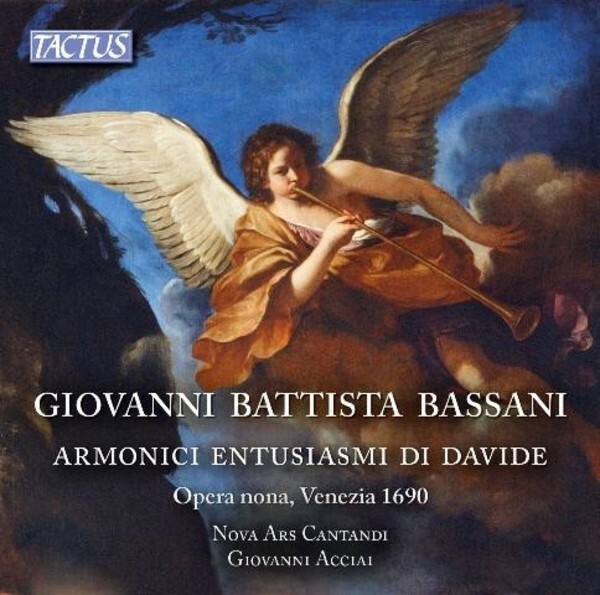 Too little is known about the life of Giovanni Battista Bassani, a composer of great importance in the history of the end of the seventeenth century, almost ignored by posterity and recent studies. The rediscovery of his work brings to light the work of a very talented musician with great compositional abilities - a great contrapuntist, yet brilliant creator of catchy melodies and surprising rhythmic solutions. His Opera IX presented in this publication, and printed in Venice in 1690 with the title 'Armonici Entuisiasmi di Davide', is a collection (nine psalms, a Magnificat and the Litany of the Blessed Virgin) to be used during the rites of Vespers in the various moments of the liturgical year. Thanks to the performance by the ensemble Nova Ars Cantandi directed by Giovanni Acciai, one of the leading specialists of the music of this period, here Bassani�s musical imagination and ability finally emerges.